It has been such an awesome week in the studio as we start this month! This week we challenged each of you to try the TransFIVE sugar challenge. If you didn't get to try the challenge this week, challenge yourself to complete it next week! It's never too late to start! Today we want to introduce you to one of our clients, Fran Hahn who has taken on our challenges and seen transformation, as a result! Fran inspires each one of us at TransFit when she walks into the studio with her bright smile! She makes the best smoothies and always encourages US by sharing her favorite healthy snacks and recipes! 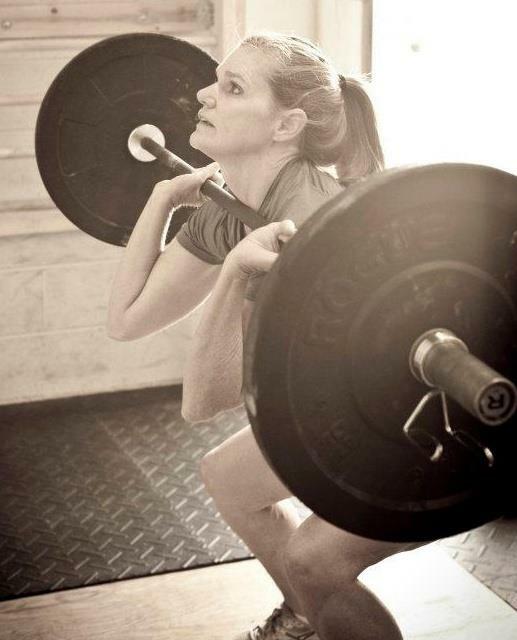 Another quality we love about our friend, Fran, is her commitment to whole body health, not just exercise! The week after Christmas in 1983, I got lost from my group of Auburn friends at a conference with about 20,000 other college students, and sat next to this hot, redheaded guy. One of the first things I said to him was: “If we got married, we would have all redheaded kids!” We did and we do! I have four redheaded kids, three daughters and a son, two sons-in-law (not redheaded), and a sweet granddaughter (not a redhead either). Paul and I have moved twelve times in our thirty-one years of marriage. We are so happy to have landed in Athens in the summer of 2016. Although I am a Tiger in a Dawg world, this is for sure one of my favorite places we have called home. My good friend, Laura Wilfong, brought me to TransFit about a year ago, and I have loved coming ever since. Working out here is consistently one of my weekly highlights. Believe it or not, I was the 1981 Alabama state high school champion in the two-mile run. And since then, I have tried it all when it comes to fitness: from Jane Fonda’s aerobics tapes in the 80’s, to long distance running and swimming in the 90’s, to track workouts with the family in the 00’s, to CrossFit and hot yoga this decade. I have pretty much tried it all! As I grew a bit older, I fell into an ugly spin cycle of working out hard, getting injured, resting a little, then diving back in, only to get injured again. And I have tried every wacky diet plan known to mankind. So, coming here to TransFit has brought some much-needed consistency, balance and challenge in my approaches to food and exercise. TransFit incorporates exercises which don’t kill my body, but strengthen it. And, I am encouraged to stay on course with my diet. My big challenge at this point in my journey is in being consumed with how I look. I want a 25-year-old body at 55. And that just isn’t going to happen, no matter how hard I work or obsess. I am learning how to lean into Jesus and be thankful that I have the privilege to exercise, and to enjoy him as I do. And though it may sound silly, drinking my daily water allotment is always a struggle for me! Aside from running a few races and just staying in the game at my age, I don’t have any huge fitness achievements. But, Jesus has been good to me; he meets in sweet ways as I work out, and in all parts of my life. I am truly grateful. Fran, we are so proud of you! Thank you for sharing your story with us! You are such an inspiration! Ladies, let's finish the TransFIVE challenge STRONG and make this our best and healthiest holiday season, yet! We believe in you and know that you can do it. If you have any questions, please email us at transfitathens@gmail.com. Join us for a 5 Day No Sugar CHALLENGE! Start December STRONG!